Republicans Confirmed A Lot Of Judges! Good News Friday! Republicans Confirmed A Lot Of Judges! Good News Friday: We call it Good News Friday because it's a chance for David and Tim to share some good news from across the nation and around the world. In this episode, we talk about how Republicans confirmed lots of judges during Kavanaugh hearing. How premarital cohabitation is associated with divorce. How that over 70% of Americans think that the media is peddling hate and dividing the country. And more! Progressives Have Taken Over Education In America? Progressives Have Taken Over Education In America? It is Foundations of Freedom Thursday, a special day of the week where we get to answer questions from you, the listeners! Tune in today as we answer discover what happened when the progressives took over education in the 1920s. 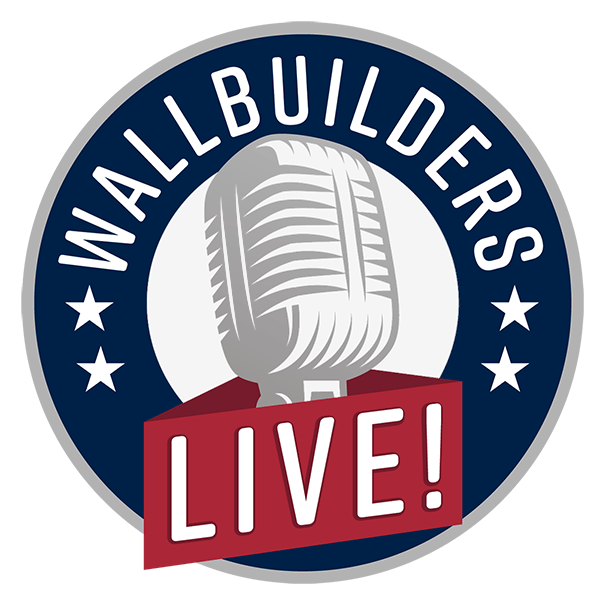 We’ll also discuss what the data on education really shows, plus so much more, right here on WallBuilders Live! Bible Based Civilization- Pro-Family Legislators Conference Part 2: The Pro-Family Legislators Conference is a great and encouraging event for conservative legislators across the country. Today we get to experience part of that! Tune in now to hear part one of Rabbi Daniel Lapin’s presentation from the event! Culture VS A Civilization- Pro-Family Legislators Conference Part 1: The Pro-Family Legislators Conference is a great and encouraging event for conservative legislators across the country. Today we get to experience part of that! Tune in now to hear part one of Rabbi Daniel Lapin’s presentation from the event! Socialism: How Are We Heading Towards It? Rabbi Lapin joins us today to give us an introduction to a presentation of his from the Pro-Family Legislators Conference. We’ll be looking at some ways that America is moving towards socialism and talking about how we can counter that! Tune in now to learn more! TBN Thanksgiving Program With WallBuilders Part Three: Happy Thanksgiving! Today we are continuing a special program in honor of Thanksgiving! David and Tim had the opportunity partner with TBN to make this special program just in time for the holidays. Tune in now to hear some of your most asked Thanksgiving questions answered and the full perspective on the history of Thanksgiving! TBN Thanksgiving Program With WallBuilders Part Two: Happy Thanksgiving! Today we are continuing a special program in honor of Thanksgiving! David and Tim had the opportunity partner with TBN to make this special program just in time for the holidays. Tune in now to hear some of your most asked Thanksgiving questions answered and the full perspective on the history of Thanksgiving! Thanksgiving- How Do We Appropriately Celebrate This Holiday? Thanksgiving- How Do We Appropriately Celebrate This Holiday: In today’s episode we are learning the real history behind Thanksgiving and addressing questions such as, “Is Thanksgiving a day of mourning?” “Why are we celebrating a day when the Pilgrims killed the Indians?” “Didn't they steal land from the Indians?” And more! Tune in now to hear the answers! Israel - The Selective Outrage of Those Boycotting: Today we have a special guest on to talk about the way Israel is being misrepresented today - especially on college campuses. We’re talking about an informative article, the BDS movement, and more!